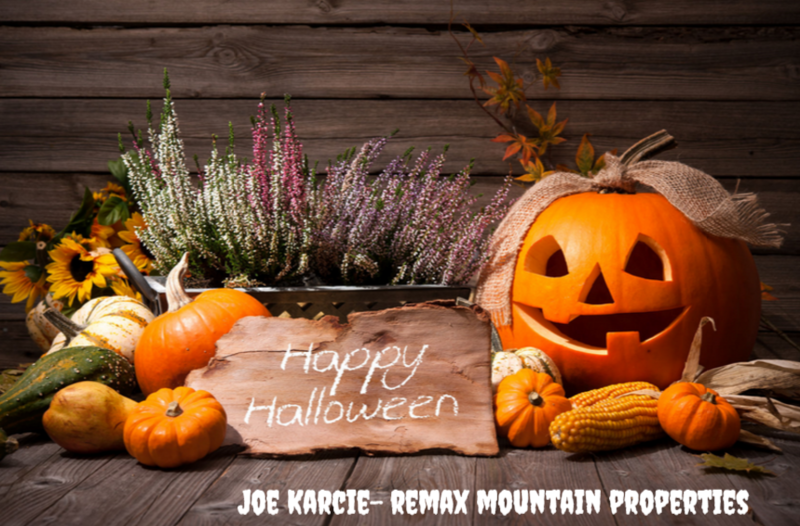 Real Estate Information Archive - Joe Karcie REALTOR RE/MAX Mountain Properties Your Source for Buying and Selling Real Estate in the Prescott Area. I’ve meet with hundreds of homeowners over the years and heard many reasons why they’re ready to sell their home. Usually they are moving closer to family or for health reasons. Some of my latest clients have decided to move to Hawaii. Others have listed their home and decided to hit the road in their RV. More than likely there will come a time when you need to sell. Here are some signs it might be time to put your home on the market. Too much living space - Empty nesters are the ones who typically have this problem. You’re paying to heat, cool and maintain a 2,800 sqft home when don’t need all that space now. If this is the case, it may be time to list your home and find a more efficient, smaller home. Too little living space - A growing family, for example, would require more living space as the children grow. Or maybe you have an elderly family member that is now living with you. All this can make for cramped living. Check with an experienced agent and find out what your home is worth today and if now is time to sell and get into a larger home. Needs have changed - Things have changed in your life and so has what you need in your home. The two-story home you love is becoming too much for your aching knees. Or maybe your little condo was perfect when it was just you, but now you have a family and a single-family home with a yard and a flat driveway for basketball is what you really need. You should discuss life’s changes with your family and make sure selling is the right step for you. Mortgage payments are too much - Maybe a change in income has affected your ability to make your mortgage payments. Depending on how the market has changed since you purchased the home, you make even make a profit. Although the goal should be to downsize to a comfortable level. Vacation home – There may come a time when you just don’t have enough time to spend at your second home and it just makes sense to put it on the market and sell. Today you’ll find many nice vacation rentals to rent without the hassle of maintaining the home yourself. Equity – Some homeowners and investors with rental properties will want to sell their home to take advantage of the appreciation in home values. 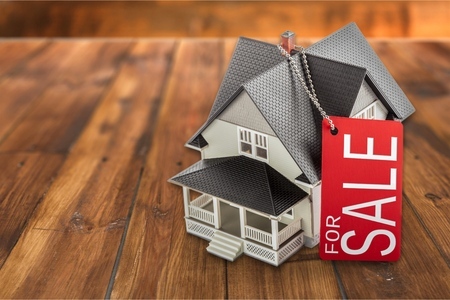 If you can't stand the fact that your place is worth so much and you like the idea of “cashing out” you might want to consider selling your home and put some money in your pockets. 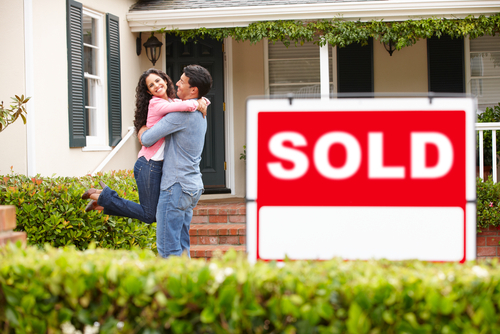 Many times selling your home can mean simultaneously buying a new one. This may be a scary thought to try and sell and buy at the same time. It can be a bit stressful, but I’ve seen it done many times. In fact, last year I helped 5 families do exactly this. Obviously, there are many other reasons you may need to sell your home or property. Whatever your reason for selling your home, it’s best to consult with a real estate professional like myself. With over 15 years working in real estate I have the experience and the knowledge to successfully list and sell your home. And then you’re ready to move on to whatever big plans you have next! You’re probably a bit overwhelmed by the number of real estate agents claiming to be experts in the Prescott area. So how many real estate agents worked last year as a member of the Prescott Area Association of Realtors? Quite a few! In the last 12 months there were over 1,339 different agents* that worked with a buyer or seller to close a residential, vacant land or multi-family sale. 1,339 that is a lot of agents! There are so many kinds of agents out there, ones who simply transact for their own investments, ones who are partially retired and keep their license just to help close family and friends, the non-member agent from Phoenix that comes up, the part-time agent, the full-time agent, and the power teams with support staff & multiple agents. There are a lot of great agents out there that are dedicated to their profession and are delivering real value to their clients. There are many out there who work part-time, closing just a few transactions a year. Then there are the full-time agents that literally eat, sleep and breathes real estate. They’ll tell you Prescott area housing statistics without even having to look. They’ve already seen that hot new listing down the street and know that it’s got 2 offers on the table. So, when looking for an agent to represent you it is important to ask questions and so if they’re a good fit you. Ask how long they’ve been licensed and practicing, and if they’re full-time or part-time, what their background is, and how many transactions do they do a year. And don’t be shy about asking for referrals, and if you come across a questionable online review, ask about it. Real estate agents are applying for job to work for you, it is okay to ask questions and make sure the agent fits your needs. As a consumer you’re going to have a lot of choices when selecting an agent to work with. By taking the time to reach out and speak to multiple agents you’ll definitely be able to find someone with the style of service you’re looking for. 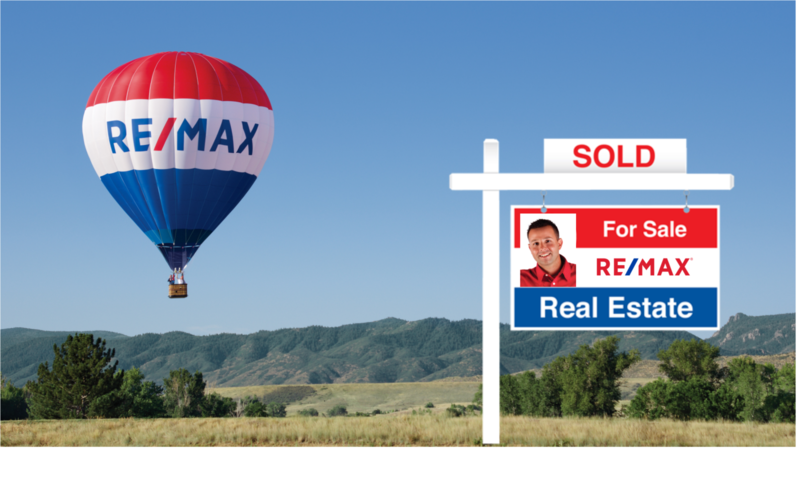 *as reported by the Prescott Area Association on Realtors MLS system on March 13th, 2019. All information deemed reliable but not guaranteed. Often wonder why some houses can have several showings during its first week on the market, and similar ones seem to be left with no attention? In my experience, it really comes down to pricing, location, ability to professionally market the home and seller/buyer readiness. We have buyers that are ready to be a homeowner in our wonderful city. I currently have 100’s of potential buyers I am regularly in touch with! Here are some quick tips to get people in the door of your home and make sure you receive that purchase contract offer as soon as possible. Use a Professional Agent. Get a top-quality, state-of-the-art real estate agent. Sounds obvious, but the better qualified and the more experienced your agent is the more likely your home will be put in front of buyers who are ready and able to buy your home now! Offer Incentives. Sometimes negotiating a few extra perks to buyers will lure them even more. A closing-cost help, for example, would motivate the buyers to speed up the decision to buy your house. Sometimes offering a home warranty is attractive to buyers as well. Play the Role of a Buyer. Take a look at your home in the eye of a potential customer. Is there anything you see that makes you think “This is great, but it looks like they’re still working on that...”? Ask your friends or neighbors to do the same. Or invite your experienced, local real estate professional over to have a look at your home. Marketing. There’s one sure-fire tip to get your house quickly noticed, and that’s blitzing out a heavy advertising campaign to get your home in front of the most buyers possible! Quick selling houses are often the result of excellent marketing skills. The longer a home sits on the market the more buyers wonder what’s wrong with it. 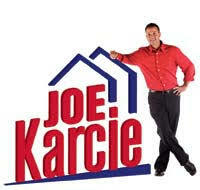 I hear it often “120 days on the market, what do you think is wrong with it Joe! ?” Some people will tell you that when a home sells quickly the home was undervalued, or you just had really good luck. 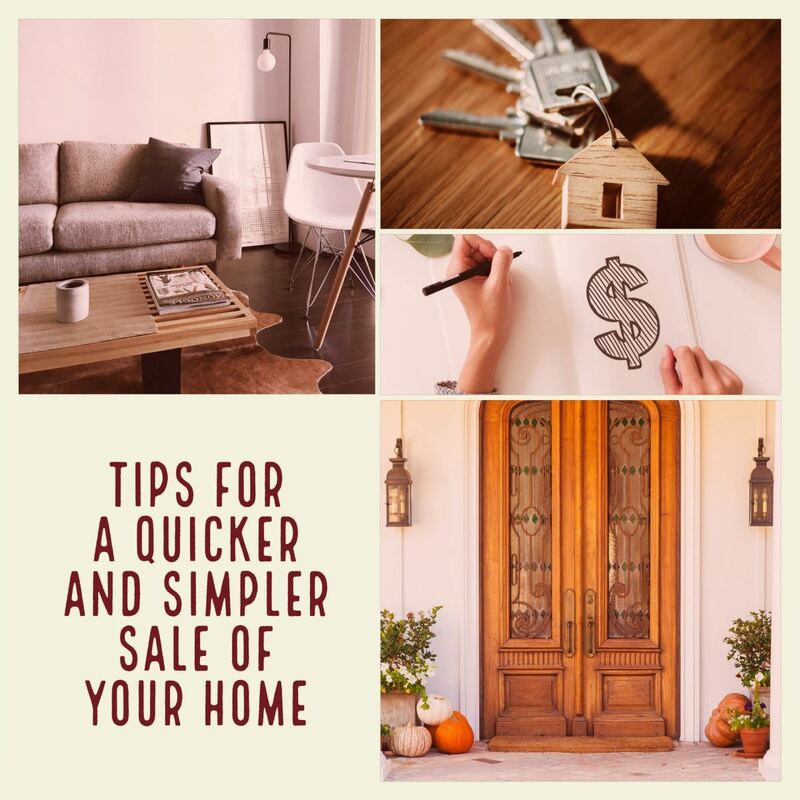 However, preparation by both agent and seller, understanding the current market, using present day marketing, and setting the right expectations, plus maybe a pinch of luck are the things needed to ensure the utmost exposure of your home and a quick sale. 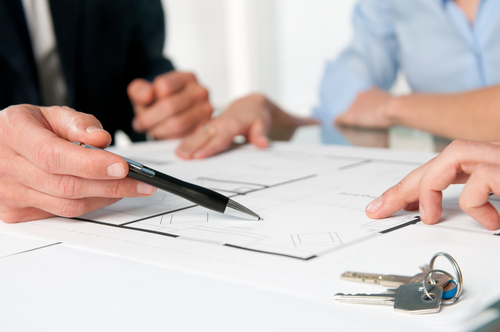 The One Thing Homebuyers Forget to do – Talk! 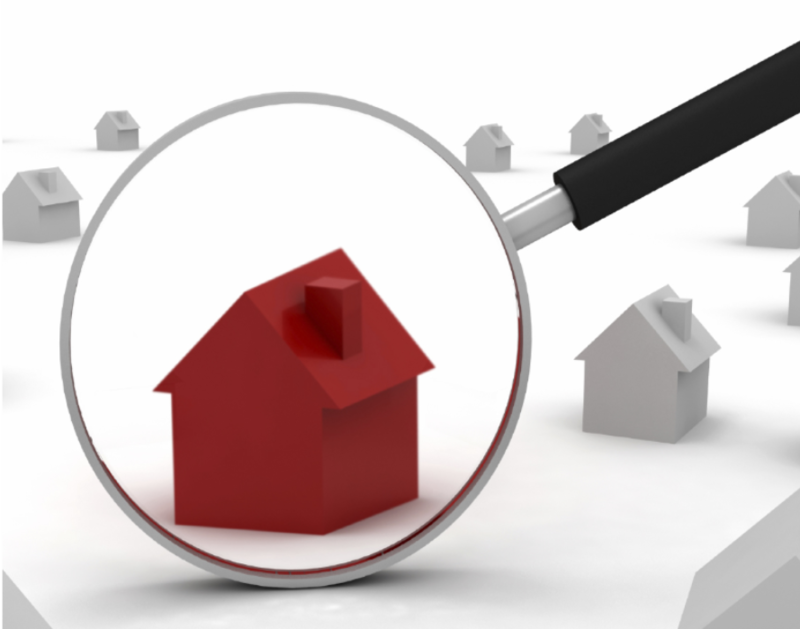 When you are thinking about buying a home there is a lot of research that goes into such a large purchase. There are many statistical tools and information that can help. But don’t forget one of the easiest and most useful research tools – talking! Real estate research might start with a look online at various real estate websites, a glance at the city website, and a check on a weather website, 277 days of sun does sound pretty nice J. When you finally make the visit out to your potential new town or neighborhood, get to talking! Talk to everyone you come across. Talk to people at the hotel front desk, find some locals on the hiking trails, chat it up in the supermarket line, or find out the latest at a local coffee shop. You’ll learn so much about your prospective new town from all kinds of different people. Once you get out with your local Realtor and start looking at homes and you’ve found one you love, try talking to a few neighbors. Maybe go for a walk in your potential new neighborhood and strike up a quick conversation with people out on an evening stroll, most people will be happy to tell all out the area. Talking to people is a great way to do real estate research and learn about your prospective new hometown but verify what you hear . . . people do sometimes exaggerate. 2018 was another very good year for real estate in the Prescott area as well as the entire United States. 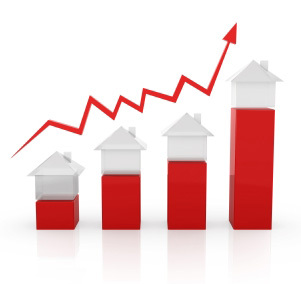 Overall home prices continued to appreciate, which is good news for all homeowners. Interest rates did increase but remain low enough to continue to encourage new buyers entering the market. All in all: a great year for the real estate industry. When we take a look back at 2018 we see Prescott residential properties average sale price was $408,917 (up 6.5% from 2017). Homeowners did not have to wait too long to sell their homes as the average cumulative days on market was only 77 days. With inventory levels remaining fairly low all year, Sellers were able to obtain close to asking price, receiving on average 97.86% of their List Price. In Prescott Valley residential properties average sale price was $291,668 (up 7.87% from 2017). Average cumulative days on market was only 40 days in Prescott Valley with seller’s receiving on average 98.55% of their List Price. What to expect in 2019: Up, up, up we go? Inventory remains low which is allowing for continued appreciation in the Prescott Valley market but how much higher can home values actually go? I see our market returning to a more normal and balanced level. Prices have risen to a point where more homeowners will be able to sell without a loss, thereby allowing inventory levels to increase and balance out the market. Interest rates are predicted to increase but remain at levels where buyers can still afford to purchase and keep payments below what they would expect to pay if renting. So, maybe this is finally the year to commit to Selling or Buying a home! With 2019 destined to be another positive year for real estate ownership, let’s make it great together! Last year I sold 50 homes! Rest assured I have the experience to help with your real estate needs. In 2019 my goal is to sell 60+ homes, I hope you will help me with that goal. When you find yourself considering selling or buying, give me a call and let’s talk. I would love the opportunity to meet with you and discuss your real estate needs. Even if you’re just curious about how much your neighbor’s house sold for, give me a call and let’s talk. If you need a recommendation for your next remodeling project, give me a call and let’s talk. Wishing you much health and happiness in 2019! 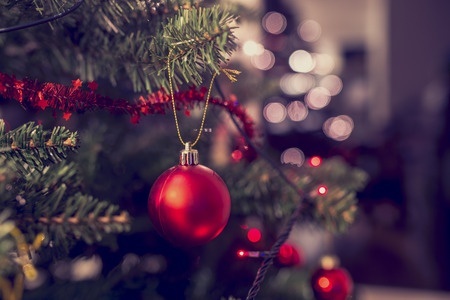 Upcoming Christmas Festivities in the Prescott Area! There are still a number of days until Christmas but everyone is already getting into the holiday spirit! 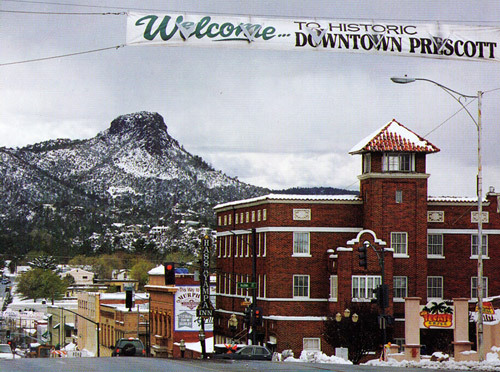 We are lucky to have the city of Prescott officially named "Arizona's Christmas City" Prescott was named Arizona's Christmas City by Governor Rose Mofford in 1989, in recognition of the community’s dedication to the Christmas spirit. As always this time of the year there are great events and festivities throughout the Prescott area. Bring your family, friends, blankets and chairs to beautiful Downtown Prescott for the 38th Annual Prescott Chamber Christmas Parade. After the parade, eat and shop, then stay for the 64th Annual Christmas County Courthouse Lighting! Some consider this the event in Arizona’s Christmas City! The spectacular holiday light displays will light up the Courthouse Plaza. Come enjoy live music and performances starting at 5pm. Visit downtown store fronts and enjoy the sounds of local musicians while you shop. This annual tradition combines participating downtown businesses with the support of hardworking musicians who donate their time and talents. Funds raised on Acker Night provide scholarships for music lessons, instruments and local youth performing arts programs. View hundreds of gingerbread villages located in the lobby of the Prescott Resort. Amazing Indoor Holiday Light Attraction. Experience the magic of Christmas as you journey through themed rooms adorned with over 1/2 million lights. Perfect for all ages, there is something for everyone to enjoy. Annual tradition of many in the Quad-Cities! Take a spectacular one-mile drive in your vehicle through the holiday light displays. Every once in a while, I’ll be in a public place such as a restaurant and I’ll casually overhear people talking about the real estate market. Usually, their conversations end with “but I don’t really know.” Here’s the thing as real estate agents: we are okay just talking about the market. If you’re curious about what’s going on in our local market, I’m always happy to talk about the latest in Prescott area real estate. It’s what I do all day, every day. No, I will not continually send you properties telling you should buy, and no I will not hound you telling you to sell. Many people shy away from talking to real estate professionals because they think they may talk you into something you do not want to do. A true real estate professional just wants to provide you with the information you ask for and offer some perspective based on their experience. If you don’t talk to a real estate agent about real estate who are you going to ask? Next time you see me in my RE/MAX polo, feel free to stop and introduce yourself and ask what’s happening in the market today. One thing I will always do is tell you what I know, and not what you want to hear. Halloween is just around the corner! It's time to dress up your little ones as ghosts or goblins, princesses or witches, superheroes or monsters! Be sure to mark your calendar with the Trick-Or-Treating hours for the Quad Cities! The Great Prescott Pumpkin Patch event will happen on Saturday, October 27th at Mile High Middle School in downtown Prescott from 10:00 am to 2:00 pm. There is a $5 entry fee, safe candy, scream and costume contests, pumpkin carving station, carnival games, crafts, and food vendors. Bring the whole family and enjoy this day time event put on by Prescott Events. On Tuesday, October 30th from 10:00 am to 10:30 am, head to the Prescott Public Library (215 East Goodwin Street) for Trick-or-Treat for Little Ones. Come to enjoy stories and songs followed by trick-or-treating inside the library. Costumes are encouraged! For children, ages 0-5. Then on Halloween Day, October 31st, come back to the library for Halloween Wheel O' Treats and Costume Parade from 4:00 pm to 5:00 pm show off your Halloween costume in a library parade, then spin the wheel for a special treat! The Heritage Park Zoological Sanctuary (1403 Heritage Park Road) in Prescott hosts their annual Boo at the Zoo on Wednesday, October 31st. Show up in your costume from 6:00 pm to 8:30 pm and enjoy trick or treating at different stations around the park and bring a flashlight to see all the nocturnal animals. Admission to this event is $4 for members and $6 for non-members. 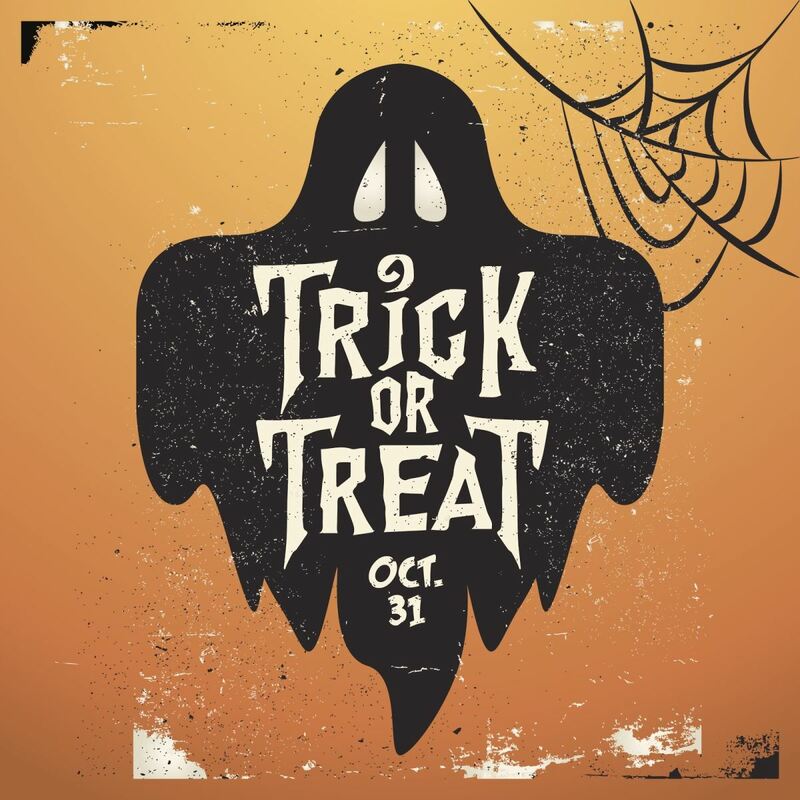 On October 31st head over to Chino Valley for Trick or Treating in Memory Park (1020 Palomino Road). This FREE annual event will take place from 5:00 pm to 8:00 pm. Stock up on candy and allergy-free treats along with countless other activities, such as live entertainment, a Halloween maze, and scary stories. • All trick-or-treaters should walk in groups and not alone. • Young children should always be accompanied by their parents or another adult. • If you are going to be out after dark, make sure that everyone is visible in your group. Be sure to carry a flashlight. Wear light-colored costumes or add reflective tape generously to costumes. • Costumes should fit properly to avoid any tripping hazards. Costumes should also not restrict vision. • Only walk while trick-or-treating. Stay on sidewalks whenever possible and only cross streets at designated crosswalks or intersections. Leave bicycles or skateboards at home. • Review with your children the importance of watching for traffic. If you are a motorist on Halloween night, be on the lookout for children. Have a Fun and Treat Filled Halloween! Fall is here, and the temperatures are starting to cool down. Just like the temperature the inventory levels tend to start dropping in the fall. Here’s what home sellers need to do to maximize their chances of a quick sale this fall. No Clutter! Throw out old newspapers, magazines and organize the mail that has been stacking up. Pack away most of your small items like figurines and other trinkets. Even take some time to spruce up the garage. Storage Unit Sometimes renting a storage unit could be the answer. Buyers like to visualize their items in the house and that’s hard to do when the home is full of clutter. If you chose a portable unit, it will be all ready to transport to you new home, making moving a bit easier. Brighten it Up Wash your windows and screens. This lets more light into the interior plus dirty windows are a turn off. Also, replace any burnt-out bulbs, you want the home to feel light and bright. Turn all the lights on before buyers come to view the home. Keep Everything Extra Clean A sparkling clean house makes a great first impression and tells buyers that the home has been well cared for. Look for small things like fingerprints and dirt around light switch plates and door handles. Make Minor Repairs Everything you don’t repair now will most likely show up on the home inspection and could create a bad impression. Small problems such as sticky doors, torn screens, cracked caulking, cracked receptacle covers or a dripping faucet may seem trivial, but they'll give some buyers the impression that the house isn't well maintained. Bump Up the Curb Appeal Even in fall and winter months this is important. Rake up the leaves, trim the bushes, and sweep the walkways. Add a nice welcome mat to the front entry and place some potted flowers near the entryway to cheer things up and get the buyers attention, check with the local nursery to see what’s in season. Get Rid of Smells Have the carpets and rugs professionally cleaned, and wash the drapes to eliminate cooking odors, smoke, and pet smells. Open the windows, let the house breathe. The number one turn off to a potential buyer is an unpleasant odor. I realize every home is different and has its unique attributes. I am always happy to discuss the best ways to maximize the potential value of your home. Please feel free to reach out to me anytime. 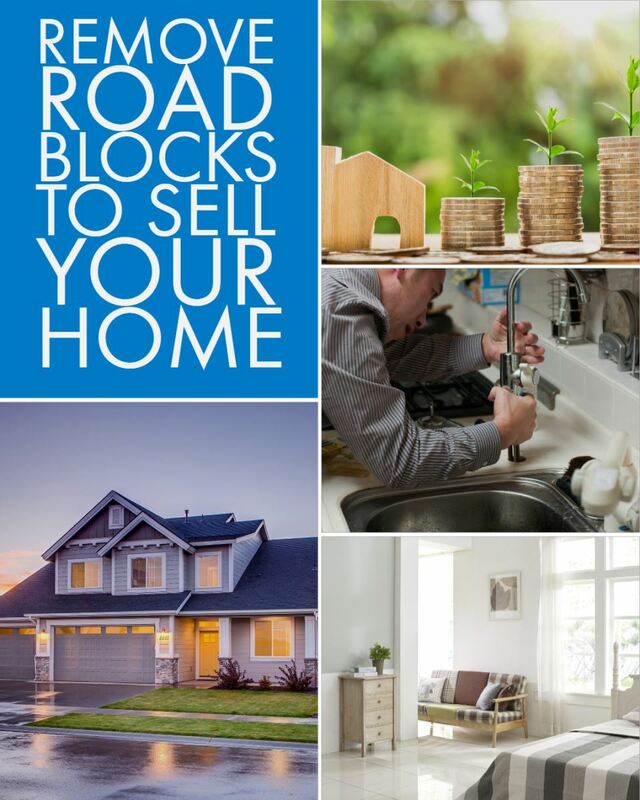 Every seller has a common goal in mind: sell the home quickly and for the most money. Yet when it comes time to sell the home not every seller is prepared. Many forget or don’t know how to remove road blocks that can stall the sales process or kill it completely. 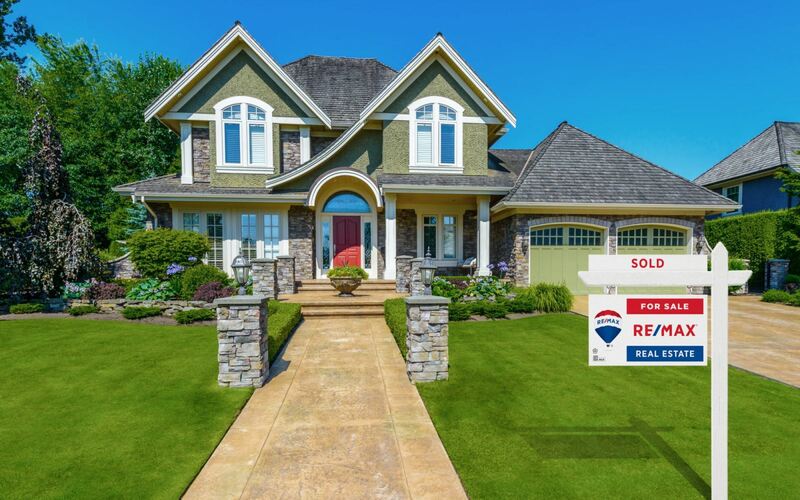 If you’re getting ready to list your home for sale, pay close attention: what you do before you list it can help or hurt the process. Remove or limit the areas where your home is lacking. Study your neighborhood and the homes that are for sale. If your home is consistently coming up short in comparison, maybe it’s not landscaped enough, or it hasn’t had any upgrades in 20 years. Maybe it’s time for some renovations or, at the very least, repairs to clean it up. Get your home “show ready” so that it isn’t lacking or appearing deficient compared to other homes in your neighborhood. Placing a home on the market that isn’t ready can cause the home to receive very little foot traffic and very little buyer interest. Remove YOU from the home. Yes, it’s tricky to remove your personality from the home, especially when you’re still living it. But it could be necessary. This doesn’t just mean taking down personal photos and putting away private items like medicines. This means that if you’ve turned a room into a particular “you” room - your style, your personality, and your unique use of the room – consider re-doing the room to make it more neutral, versatile, and appealing to buyers. For instance, if one of the bedrooms in a two-bedroom house was converted into a meditation room, it’s wise, when listing the home for sale, to show it with both rooms as bedrooms rather than one bedroom and one room that is uniquely decorated for a specific use other than sleeping. Talk to an agent, see what they recommend before you invest too much time taking “you” out the home. Buyers can sometimes imagine how else they’d use a room but if it looks like too much work to make changes, they’ll keep hunting for a house that is better suited to their needs. Remove strong odors from your home. Of course, I’m talking about foul smelling odors but sometimes too much of a good thing can also be a turn off. Gather up pet toys, pet beds, pet food, and make sure the house is pristine. If you’re using fragrances in your home from sprays, candles, potpourri or even real flowers, make sure that the odor isn’t overwhelming. Subtle is good... overbearing can make people think you’re trying to cover up something bad in the home. Ultimately, the goal is to make the home have mass appeal with as few road blocks as possible to sell it. Think like a buyer and see your home the way you’ll be looking at your own next home purchase. Then maybe you’ll understand the importance of making some changes before you list your home for sale. I’d be more than happy to discuss this further or answer any questions you may have about real estate.